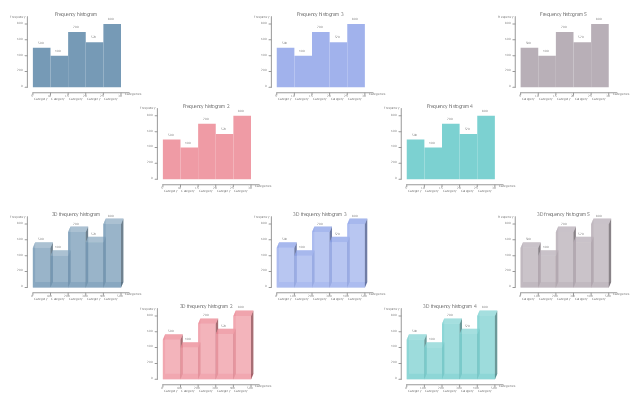 The vector stencils library "Histograms" contains 8 templates of histograms for visualizing frequency distribution data. Drag a template from the library to your document and enter your data. 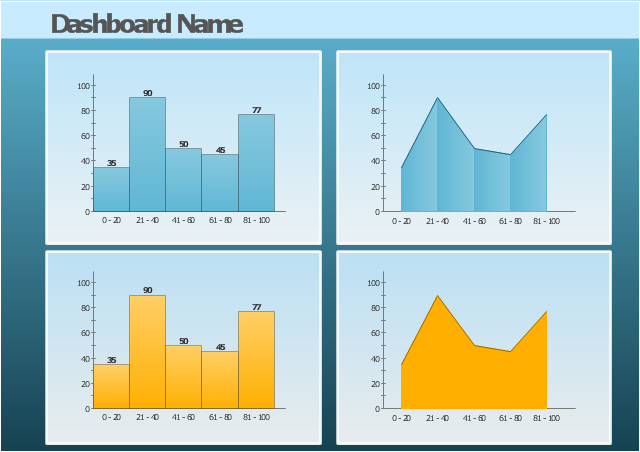 Use these shapes to draw your histograms in ConceptDraw PRO diagramming and vector drawing software. 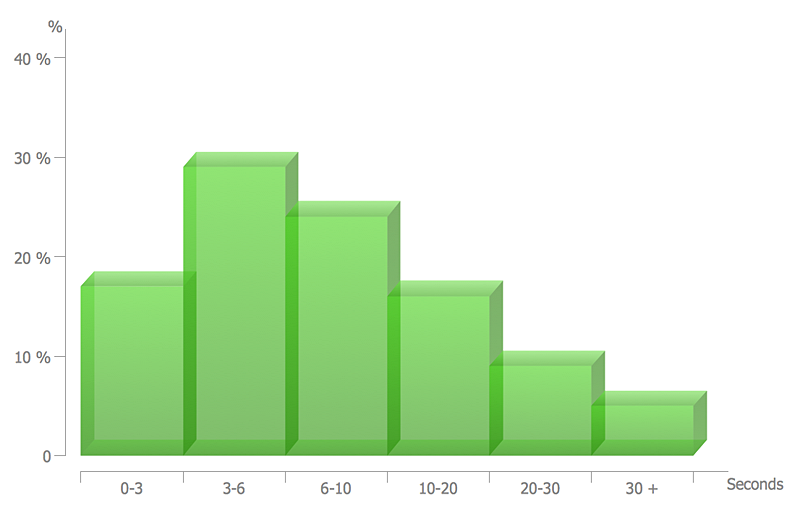 The vector stencils library "Histograms" contains 10 chart templates. 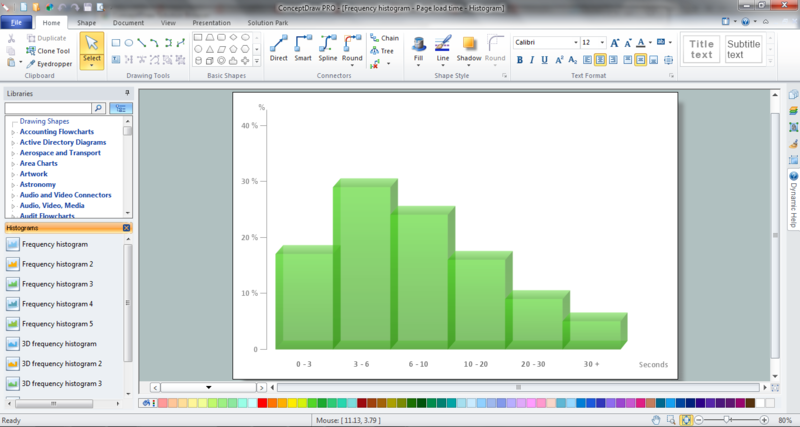 Use it to design your histograms for visualizing frequency distribution data in ConceptDraw PRO diagramming and vector drawing software. 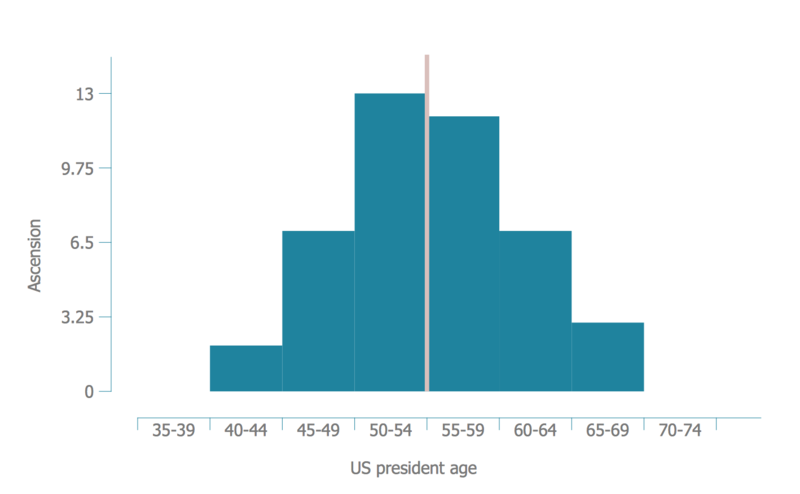 A histogram is a representation of tabulated frequencies, shown as adjacent rectangles, erected over discrete intervals (bins), with an area equal to the frequency of the observations in the interval. The height of a rectangle is also equal to the frequency density of the interval, i.e., the frequency divided by the width of the interval. The total area of the histogram is equal to the number of data. 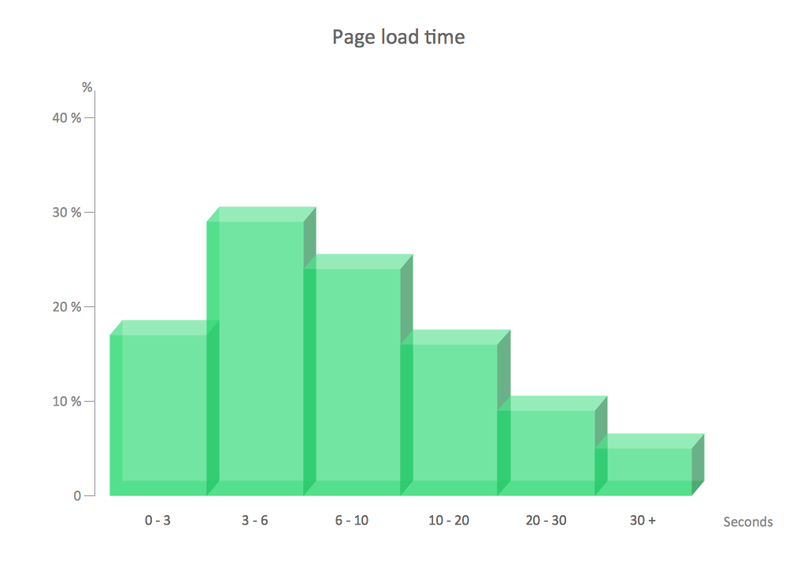 A histogram may also be normalized displaying relative frequencies. 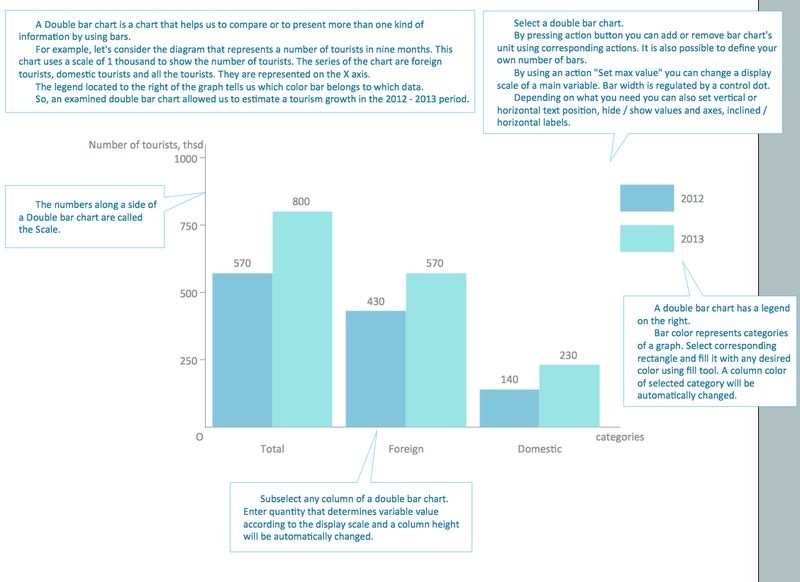 It then shows the proportion of cases that fall into each of several categories, with the total area equaling 1. The categories are usually specified as consecutive, non-overlapping intervals of a variable. The categories (intervals) must be adjacent, and often are chosen to be of the same size. The rectangles of a histogram are drawn so that they touch each other to indicate that the original variable is continuous.